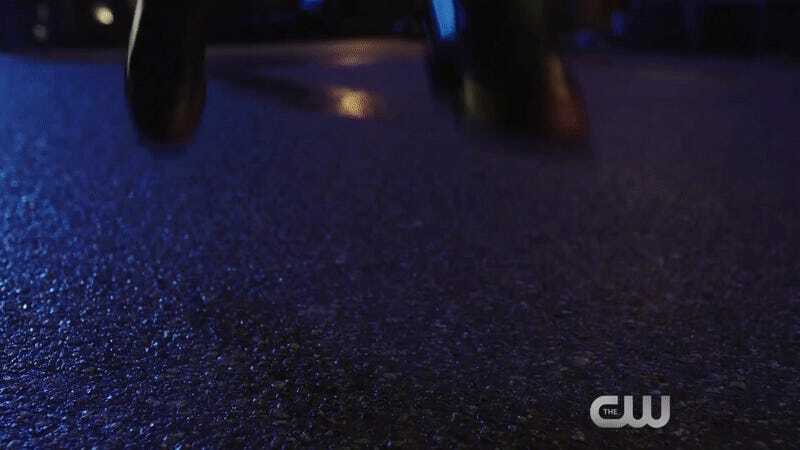 After teasing some Freaky Friday goodness already, the CW has finally dropped the Elseworlds teaser we’ve all been waiting for. We’ve seen her in Photoshopped-to-heck photoshoots, we’ve seen her in episode stills, but now, we have Batwoman in motion! Okay, so pretty much all she does is stand atop a building looking all broody before jumping down, in front of none other than Arkham Asylum itself. But! That’s a) a very Bat-family thing to do, so it’s fair; and b) it’s still cool as hell, because it’s Batwoman. And we get to see Barry and Cisco meet her. Well, our Barry in the body of a Barry who is actually Oliver in whatever world this is taking place in—oh god, my head hurts. Just gonna ignore all that and watch Batwoman’s cape flutter in the wind on loop for a bit instead. Elseworld brings the bat-heat starting December 9. Nana Nana Nana Nana, Bat-Woman!